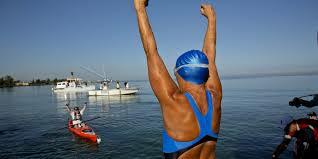 When Diana Nyad reached her goals, not only did she triumph, so did we. Her grueling preparation became our own. Her strength, tenacity and commitment gave us a new understanding of our persistence. Her spirit of love, devotion and wisdom taught us that we can defy the physical, that we are greater than mere flesh, and that our endurance improves with age. She is a prophet of the triumph of preparation, persistence and patience. You see, in the 1970’s, Nyad thought it was time to throw in the towel. Not that she was by any means defeated. 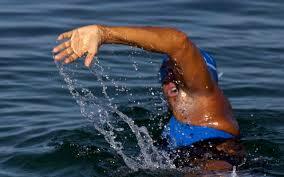 In 1979, Diana Nyad set a world record for distance swimming by both men and women – by swimming 102 miles (164 km) from the Bahamas to Florida – without the use of protective shark cage in 27.5 hours. But when she touched the shore of Florida, she swore that she would never swim again. And she didn’t – until she was 60 years old. Diana said that after she turned 60, she decided to go swimming one day for 20-30 minutes, slowly, just to see how her body felt. 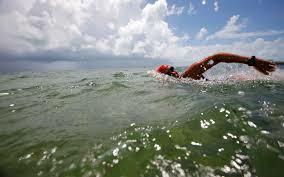 Little by little, day by day, she added on more time until one day she swam for 6 hours straight and knew that she was ready to go the distance again. 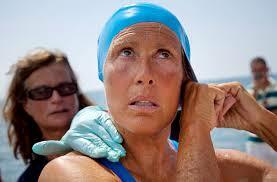 Her goal was to swim from Cuba to Florida, which she had first attempted in 1978 but did not complete her goal. 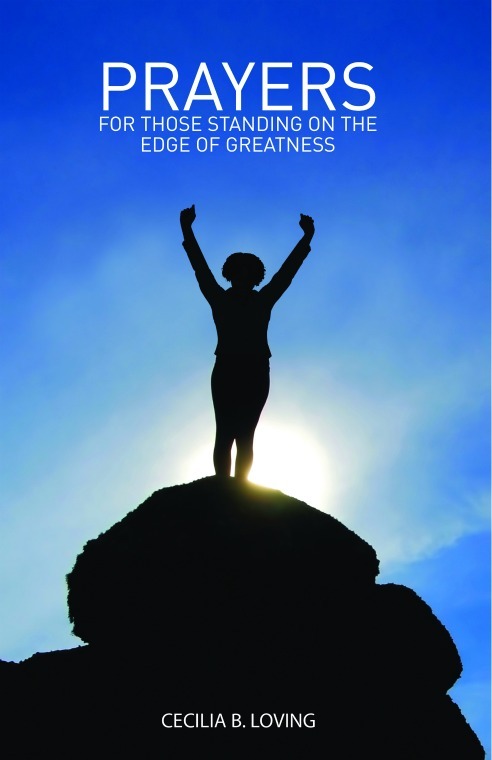 What may not have been known back then is that the mental determination of experience is a more important factor than the physical energy of youth. Scientific studies show that the wisdom and drive of age has added benefits. Diana is a living witness. 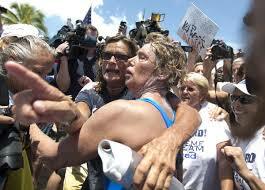 Diana was heart-broken when she anticipated a swim from Cuba to Florida in 2010 but bad weather forced her to cancel. 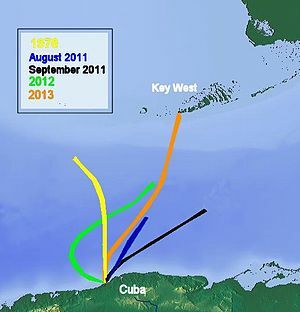 In the summer of 2011, she attempted to make the swim again but stopped after two days of encountering strong currents and winds that pushed her miles off course to the east. 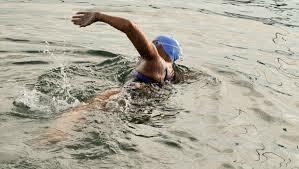 She had also been suffering from shoulder pain and then had a flare-up of her asthma that required her to swim only a few strokes and repeatedly have to roll on her back to catch her breath. 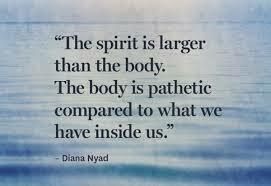 The amazing thing about Nyad’s journey is how she used each attempt to train better and prepare wiser. 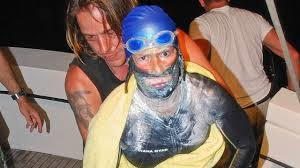 On September 23, 2011, Nyad began a third attempt at the Cuba-to-Florida swim, again without a shark cage, but had to stop after about 41 hours, about 67 nautical miles through the 103-nautical-mile passage, because of jellyfish and Portuguese man-of-war stings and after currents pushed her off course. 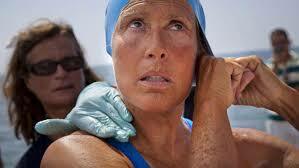 On August 18, 2012, Nyad began her fourth attempt, without a protective shark cage. 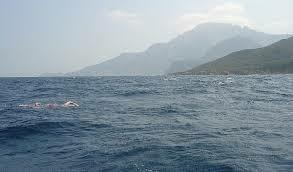 Nyad and her team ended the swim prematurely at 12:55 a.m. on August 21, 2012, because of two storms and nine jellyfish stings, after having covered more distance than her three previous attempt. 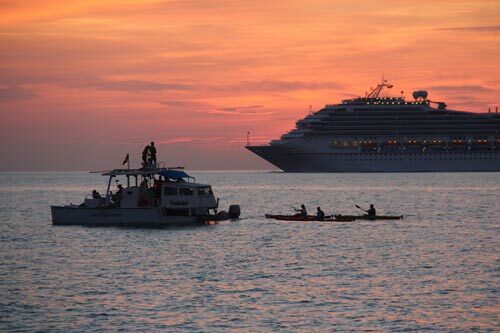 These trips taught her the importance of having protection from the jellyfish, as well as having a device to assist her to stay on course. So, on the morning of August 31, 2013, she did it. 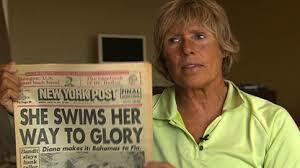 Diana Nyad, at the age of 64 years old, swam for 53 hours from Havana, Cuba to Florida. The, distance was about 110 miles (177 km). She was accompanied by a 35-person support team, swimming without a shark cage but protected from jellyfish by a silicone mask, a full bodysuit, gloves and booties. Based on her performance, we need to come up with another name for “senior” citizens” – maybe “power” citizens would be more appropriate. 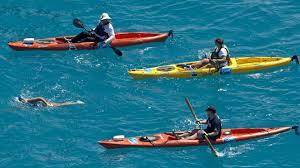 No matter what age we are, we often defeat ourselves. We are our greatest enemies. We allow negative untruths to limit our amazing abilities. She says ”You can’t start to get into negative spaces…telling yourself it hurts too much, maybe another day… because even people with an iron will [can] talk themselves out of stuff and quit when things get tough.” There are “factors out there” that we can’t control but fortitude, determination and faith, we will be given solutions. 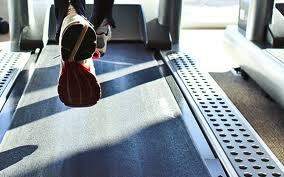 People often admire how I do something as simple as get up and work out every morning. 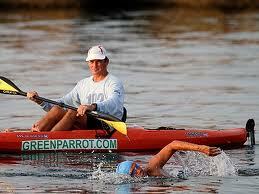 The truth is that it took me about 10 years to make it a habit – after many trials and errors. 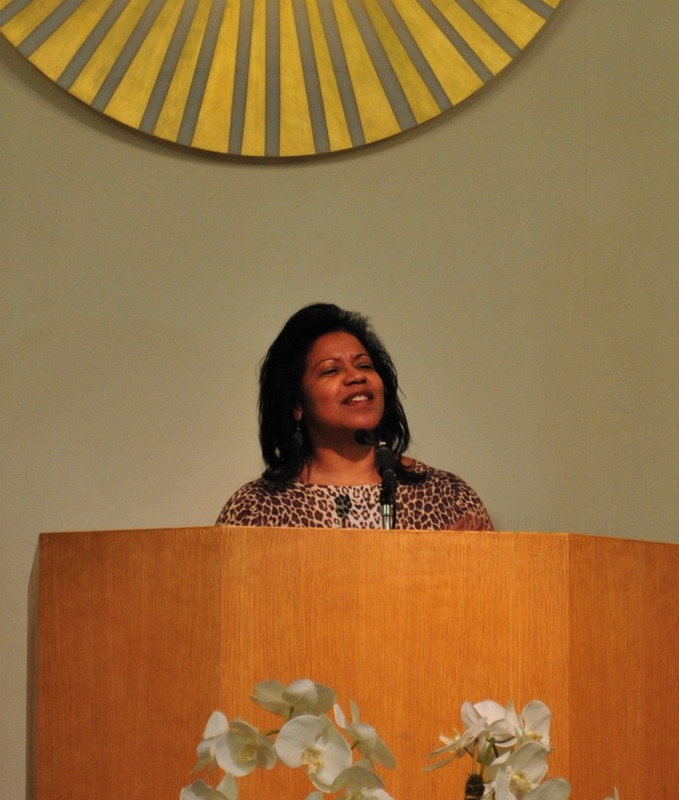 People often admire how I write books, as well as practice law and lead a ministry. The truth is that I had been working on trying to complete a book for over 20 years before it finally took shape. Sometimes I notice women watching my weight-lifting routine, the truth is that I have been lifting now for nearly 15 years and I have a long way to go. But I am grateful for the wisdom that I have developed during my fitness journey. My members are sometimes astonished that I can bring the word of God in a manner that transforms them and causes them to move further along the spiritual path. The truth is that I have been studying the word of God at least since I was a teen – for 40 years, and I am elated every day by what the Holy Spirit continues to teach me. 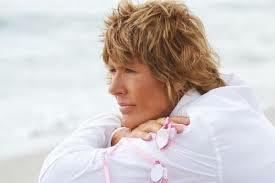 Diana Nyad is a master teacher, teaching all of us an important lesson if we pay attention. She is showing us that every day, every step, every breath is part of our marathon that we call life. We can stop beating ourselves up because of what we haven’t done. We can get back on track if we have wandered from the path. We can be even stronger, even though we have aged. Aging actually is a good thing. The passage of time brings us the deliverance of triumph. Diana gives us permission – not to fail, but to begin again with the faith that we can conquer the impossible. She has blessed us with an incredible gift of patience by showing us that each now moment only gives us strength. It doesn’t matter how long we wait to accomplish our goals, if the seeds are there, one day, we can get up and take life by the reins and do what we are here to do. Nyad claims to be an atheist, but I see her as a prophet. I don’t believe in the anthropomorphic God either – the old man in the sky who judges us. 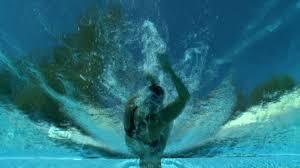 No, I believe in the Spirit that blesses each one of us with the ability to be our best. Each one of us is blessed with a Divine Mind, in which we live and move and have our being, that can overcome any odds. You don’t have to be religious to make Spirit visible: your oneness with Spirit will bless everything and everyone with love. When we witness Nyad’s journey – not merely of 53 hours but of 64 years – cross the finish line, we know that each and every one of us was transported right along with her strokes – hours – days – years closer to the completion of our goals. We know that our triumph is already here.